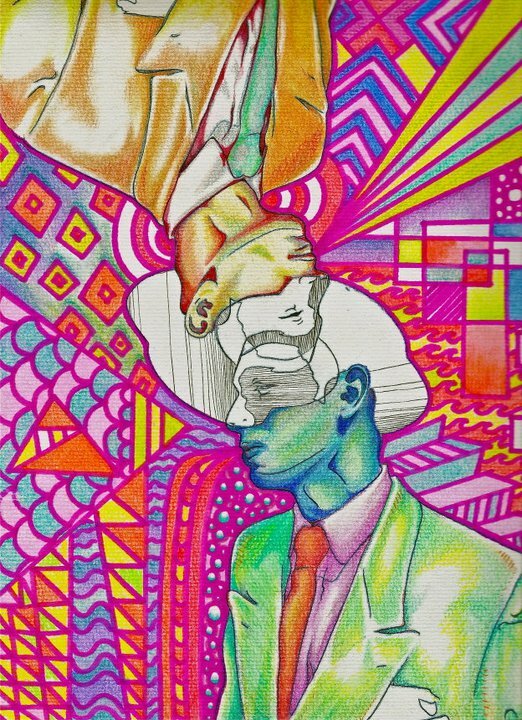 Colored pencil, ink and marker on paper 2011. Beautiful, the other day I was making a thumbnail to merge different shapes, patterns and colors. You made it! This is absolutely incredible. You’ve got a real talent here!